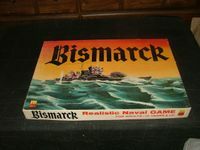 An attempt by Avalon Hill to sell larger-packaged versions of their games. Components are identical to the traditional flat box version. The marketing plan failed, and Avalon Hill reverted back to the flat box packaging.